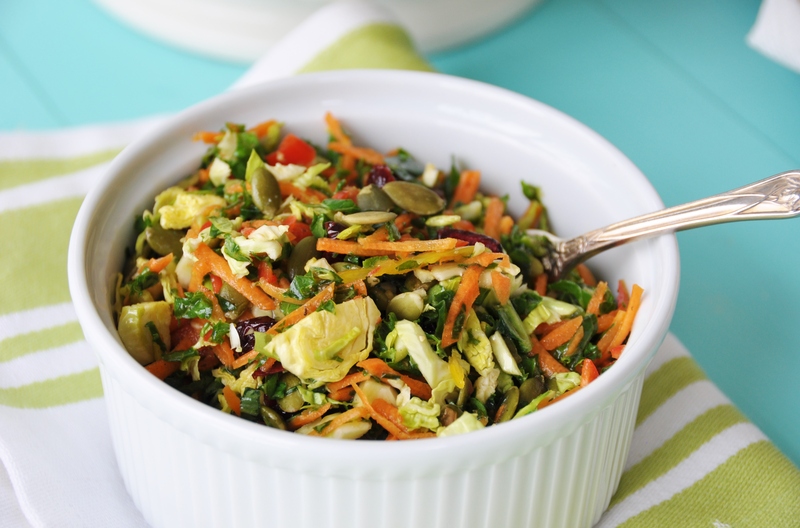 This bright, colorful, crunchy slaw is easy to make and fun to eat. It’s a vegetable funfetti party in a bowl! If you’re looking for a fresh, bright, crunchy, slightly sweet slaw to side with a good vegan black bean burger, look no further. This Brussels sprouts, kale, and carrot slaw is perfect as a side, or as a meal all on its own. It’s a bowl of healthy vegetable funfetti that tastes as good as it looks. It screams, let’s get this party started! 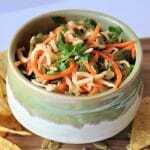 I was inspired to make this slaw after a paddle match last week. My club always serves up a delicious lunch for all of the ravenous paddle ladies – running after a ball in the cold fresh air makes you really hungry. Last week the café manager served a veggie chili, a salad similar to this slaw, poached salmon, and grilled chicken breast. Obviously I didn’t eat the latter two, but I was grateful for the chili and salad. All I can say is, one bite of that salad and I knew that I had to create my own version of it. 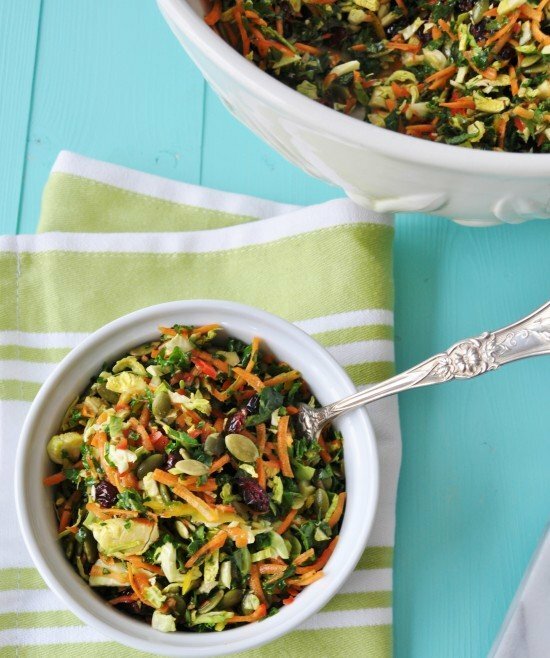 The shredded carrots and bell peppers (I used my food processor, it’s so much quicker than using a box grater), coarsely chopped Brussels sprouts and kale, and the pepitas and dried cranberries were meant to be together in one big bowl. 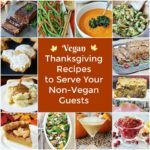 The flavors of the sprouts and kale are mild, the carrots and bell peppers are slightly sweet, and the pepitas and cranberries, well, it’s like yin yang. So many opposites that just work together and make each one all the better. 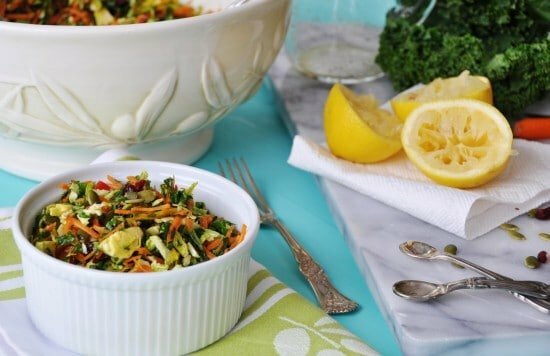 The dressing is light and fresh, with a tangy zing of fresh lemon. I squeezed the juice out of two lemons, added a little salt, stevia to balance the sour, some savory dried sage, a little garlic powder, and just two tablespoons of olive oil. 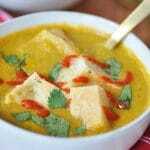 The sweet and sour compliments the vegetables and lets their flavors shine through. I hate it when a salad dressing masks what’s in the bowl. After I took the pictures of this gorgeous, colorful vegan slaw, it was time to eat. My favorite part of being a food blogger! It only took one big glorious bite to start my happy dance. Literally, when food awakens all of my senses it puts me in a euphoric state of mind that causes me to involuntarily start dancing, and sometimes even humming while I chew. It’s embarrassing, and I really try to control it, but it’s almost impossible. Can a person be possessed by food? Why would I tell you about my weird and awkward food dancing habit? Because that’s the sign of something worth eating. If Linda’s dancing, you should be eating what I’ve got. It’s as simple as that. 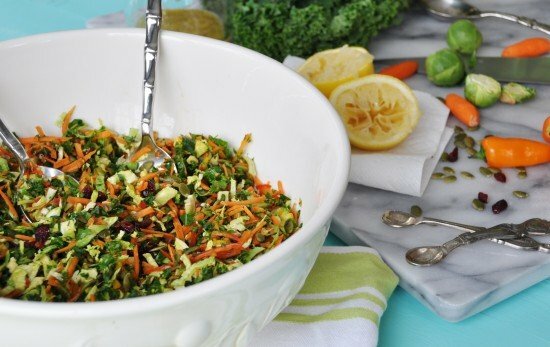 Do you have a favorite slaw recipe? One that would make you break into a strange dance if you were as odd as I can be at times? If you do, tell me about it! 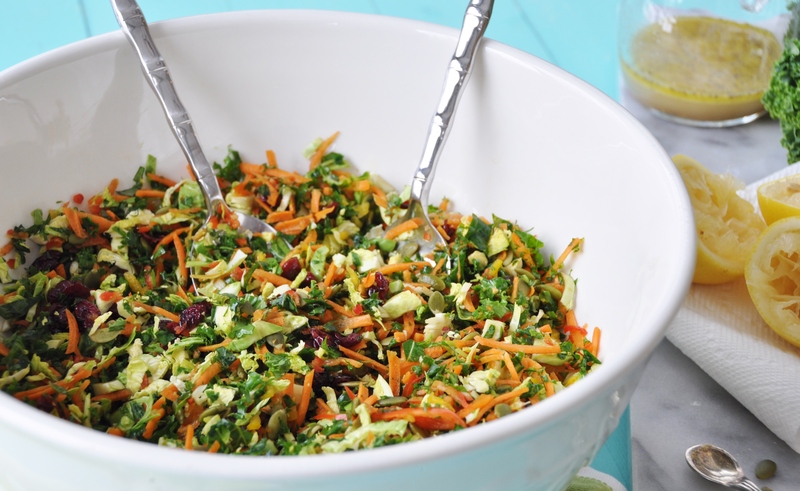 This bright, colorful, crunch slaw is easy to make and fun to eat. It's a vegetable funfetti party in a bowl! 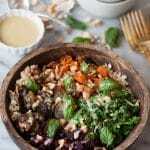 Combine the vegetables, pepita seeds, and cranberries in a large bowl. 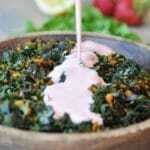 Put the dressing ingredients in a lidded jar or a bowl and shake or whisk until well blended. 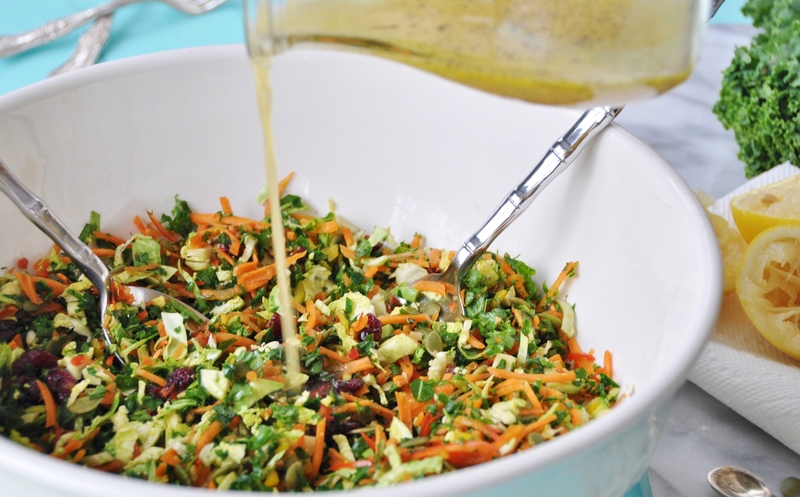 Pour over the salad and toss well.